The Thatch Roofing & Material Experts! This is our home page. This page shows some of the different products that we carry. To find more products with pricing please click on categories to the left and scroll down to views items in that category. Tiki Shack Importer specializes in providing commercial grade Tiki Hut and Tiki Bar building materials for homes and businesses alike: from thatched roofing comprised of palm leaf thatch, to authentic bamboo poles for building a thatched roof, to bamboo slats for walls and bar trimming, and palapa thatch umbrellas for overhead. 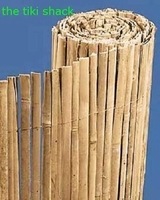 We carry EVERYTHING in Terms of Thatch and Bamboo Material. Everything you Could Possibly Need for Easy Tiki Hut and Tiki Bar Construction! All the Thatch and Bamboo Accessories you need too! Click on the Relevant Category to your Left to Browse our Incredible Selection Right Now! Built for Movie Sets, Theme Parks and Most Importantly Built to Last! 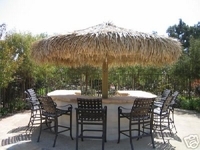 Commercial grade tiki thatch means that your Tiki Hut or Tiki Bar will be constructed with the same high quality palm thatch and tiki building supplies used in restaurants and bars, on movie sets and in theme parks. These materials stand up to many weather conditions, often lasting five years or more in dryer climates. Most tropical decor suppliers are unable to say that about their products. 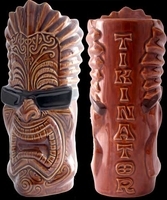 Ready to Browse Tiki Shack Importer's Featured Products? These are our Hand-Picked Featured Products just for YOU! What can you do with Tiki Thatch Roofing and other Tiki Hut Products? 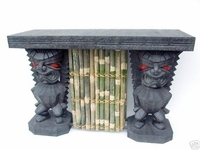 Tiki Hut Products are Very Versatile and Limited Only by your Imagination! Add our thatched roofing to an existing outdoor structure to create a Sublime Tropical Aesthetic. Do it yourself and build a thatched roof to shelter your outdoor kitchen, or use a palapa umbrella as a shade cover for your patio area. Bamboo Fences can cover chain link fencing, bamboo edging is great for delineating garden areas and Tiki Bar supplies help you create an impressive space for entertaining guests! Tiki Hut products can beautifully enhance the appearance of any backyard space. To take the tropical vibe to the next level, bamboo waincoting and bamboo slats can be used to create a tropical island atmosphere! 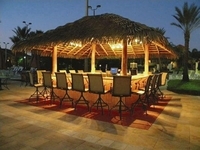 Why Choose Our Tiki Hut & Tiki Bar Building Materials? LARGEST and WIDEST Selection at BELOW Wholesale Prices! 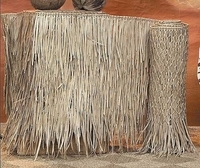 Tiki Shack Importer is the LARGEST Tiki Hut and Tiki Bar supplier in the U.S to sell at BELOW WHOLESALE PRICES and we carry the WIDEST SELECTION of tiki thatch and thatch roofing materials in all sizes. We also offer FREE SHIPPING NATIONWIDE on all of our affordable items, so you can easily budget the cost of your Tiki Hut or Tiki Bar construction project. When your order arrives at your door, we're here to help you get started too! Need to know How to Build a Tiki Bar? The information is Right Here. Need More Information on Thatch and Bamboo before Buying Online? We've got you covered as well! 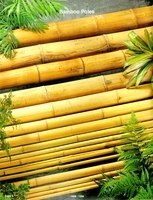 Check out our Fantastic Information Articles that tell you All About Thatch, All About Tiki Thatch and All About Bamboo! 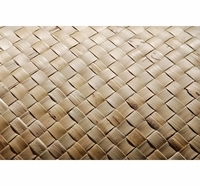 Trust the same company that supplies Tahitian thatch, African thatch and bamboo items to Disney, Sea World, Raging Waters, Universal Pictures, Senor Frogs, Hooters and so Many More. 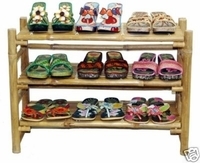 Tiki Shack Importer has over 20 years experience and over 20,000 square feet of warehouse space! 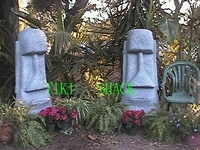 WE ARE the preferred Tiki Shack Seller of Southern California. Most products will be shipped the Same Business Day you place your order. We Invite YOU Right Now to Browse through our Wonderful Selection of Tiki Hut and Tiki Bar products; then Place an Order to get started on your Dream Project Today! Need More Help Before Buying Online? → 80% of Orders Ship Same Business Day! → Easy & Fast Online Ordering! → We Beat Any Price Guaranteed! *** BEST PRICES GUARANTEED *** → We Won't be Beaten on Price! *** 500,000+ SATISFIED CUSTOMERS *** → CAN'T be Wrong and we want YOU TO BE NEXT!! 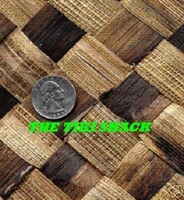 Tiki Thatch is actually one of the world's first materials used for building. It can be used for roofing on a large variety of structures such as Tiki Bars, Gazebos, and more. It's a material that is strong, durable, and affordable. Imagine having your own Tiki hut in your backyard! Everyone in the neighborhood will want to come by and enjoy a nice tropical beverage under your Tiki Hut. You can make this a reality with Tiki Thatch from The Tiki Shack Importer. Tiki thatch is essentially roofing that consists of straw, heather, and dried palm leaves. The materials are layered on top of each other in a way that provides a waterproof, low-cost, and effective roof solution. 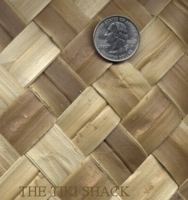 We offer Tiki Thatch in a variety of different sizes for all of your Tiki Shack needs. 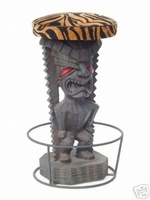 80% of orders with the Tiki Thatch Importer will ship in the same day that the order is purchased. 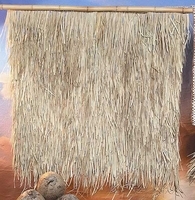 A roll of high-quality Tiki Thatch typically will come in at price points ranging from $100-$300. 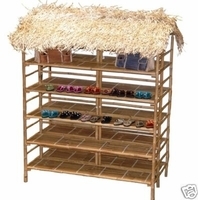 You can't go wrong purchasing Tiki Thatch from the Tiki Shack Importer. 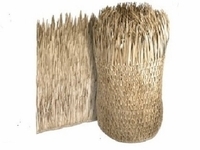 Another one of our most popular products is African Thatch. African Thatch is material that has been used for centuries to build structures and keep people cool from the sun's heat. It is a material that has become popular over the years thanks to cultural exchanges between Europe and South Africa. The settlers discovered this fantastic material that is native to South Africa and the rest is history. The color combinations of brown, green, and yellow provide a tropical feel that can give any structure or roof a tropical appearance. The Tiki Shack Importer offers African Thatch that is designed to withstand cool weather climates as well as warm weather climates. 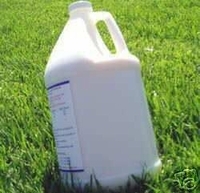 All our products are made with the highest quality standards while staying extremely affordable. Thatch can act as a great insulator and can really spice up any outdoor or indoor space. This type of roofing is most typically used to cover gazebos, umbrellas, and Tiki huts, but you can always get creative and come up with your own unique uses! If you are interested in building a Tiki Shack or Thatch based structure, you need something to build the base. That's where bamboo comes into play. Not only does it look great and fit in with an island paradise theme, but it's also extremely durable and cost-effective. 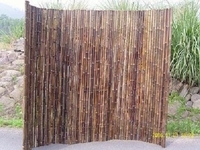 We offer Bamboo Fencing, Bamboo Edging, Bamboo Poles, Bamboo Slats, and more. 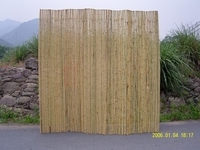 Bamboo fencing is typically used for an environmentally friendly alternative to chain link or wood fencing. It can add a truly unique feel to your backyard. It is one of the most popular and affordable options for decorative fencing and is sure to transform your backyard into something special. 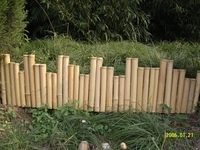 Bamboo Edging can be used to add a unique touch to gardens, pools, decks, walkways, and more. It's an affordable way to take certain areas to an entirely new level. Bamboo Poles are perfect for building any type of Tiki related structures. If you want the genuine and authentic Tiki Hut experience, bamboo poles are the answer. Harvesting bamboo is much more environmentally friendly than many of the other options. They are a material that offers durability and can be very easy to install. The Tiki Shack Importer receives all of our bamboos directly from China, which means you know they are the real deal. 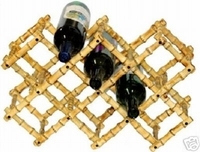 Bamboo Slats are an awesome way to decorate walls, ceilings, bars, and countertops. They offer a striking appearance thanks to their natural colors. 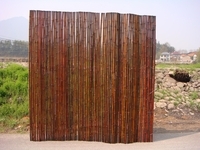 You can purchase Bamboo Slats in stained mahogany, raw green, and brown to create a truly impressive feel to any room. It's super easy to install and is sure to be a big hit with your family and any guests that come by. 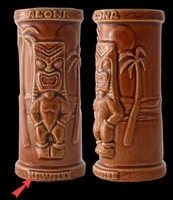 The Tiki Shack Importer also offers plenty of other Tiki related products. If you are thinking Tiki, think the Tiki Shack Importer. Here are a few reasons why the Tiki Shack Importer is the best in the business: We have over 20 years of experience in the industry and can help you get a fresh tropical look with our large selection of Tiki related products. We only sell the highest quality products and roofing materials, which means you know you are getting the best with every purchase. 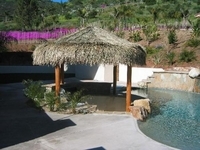 We have supplied thatching to major companies like Disney, Maui Wowie, and Universal Pictures. The Tiki Shack Importer can provide the right supplies for any customer. It doesn't matter if you are simply looking to create a small Tiki Shack in your backyard or if you are a commercial business looking to create Tiki related structures that will help your business flourish. Our prices include free shipping, which is a big perk for you to take advantage of. Our mission is to help people experience the unique aesthetic and tropical vibes that Tiki Shacks and thatch roofs can provide. Contact the Tiki Shack Importer now to get started on creating the Tiki Shack of your dreams! We can help you with ideas and planning but remember that creating a Tiki Shack yourself is always easy to do. Installation is simple and fun. Bring paradise home with the Tiki Shack Importer today!